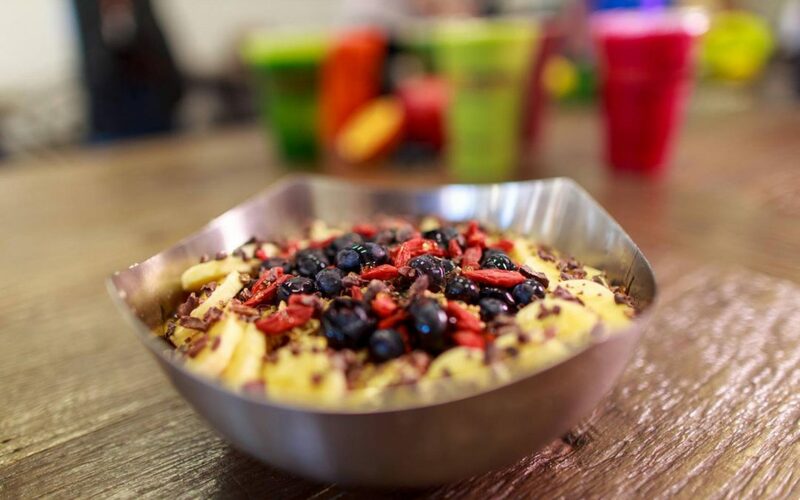 BY NEWS AND RECORD – Vitality Bowls, a cafe specializing in Acai bowls and antioxidant-rich drinks, is coming to Greensboro. Franchisees Michael and Therese Lopez are opening the café at 3345 Battleground Ave. in Westridge Square. Originating in Northern California, Vitality Bowls is a chain specializing in bowls that feature a thick blend of the Amazon’s antioxidant-rich acai berry topped with a variety of ingredients such as graviola, spirulina, hemp seeds, pitaya, coconut milk, bananas, strawberries and honey. “There are detox bowls, immune bowls. You can always add substitutes or take away others,” said Therese Lopez, who has over 20 years of experience as a project manager in the biotech and pharmaceutical industry. The café will also offer fresh juices, soups, panini sandwiches and salads. The eatery will include a full-service coffee bar, complete with espresso, cold-brew nitrogen-poured coffee, organic kombucha on tap and super food drinks made from acai, pitaya and matcha. “We will be offering allergen-free and gluten-free items,” said Michael Lopez. “We wanted to provide a place where people with food allergies have a place to eat. Following this opening, the Lopezes are planning to open two more locations in Winston-Salem and Chapel-Hill. Vitality Bowls joins CoreLife Eatery, another healthier-eating option specializing in greens and grain bowls, which is also opening soon in Greensboro.